Jon Scieszka's Math Curse tells the story of one little girl whose life that has been taken over by problems, not just any problems either. They are Math problems caused by her teacher Mrs. Fibonacci. It all started when she said, "You Know, you can think of almost everything as a math problem." If you have been following my Summer Reading, this will sound familiar, as this student had another problem caused by her science teacher, Mr Newton, when he said, " You Know, you can think of almost everything as a science experiment" in the book Science Verse. Apparently, I have read these out of order. I will make note of this for my classroom readings. I really like how Scieszka shows us that math is everywhere and that a lot of our daily problems can be solved with the use of various mathematical concepts. In addition, his use of humor is applied to the idea which makes even the student (or adult) who dislikes math to enjoy the situations the student finds herself in. Scieszka's Math Curse is such fun. I suppose everything in life can somehow be boiled down to a math problem. LOL Have a wonderful reading week, Jeanie! Thank you, you too Shaye! 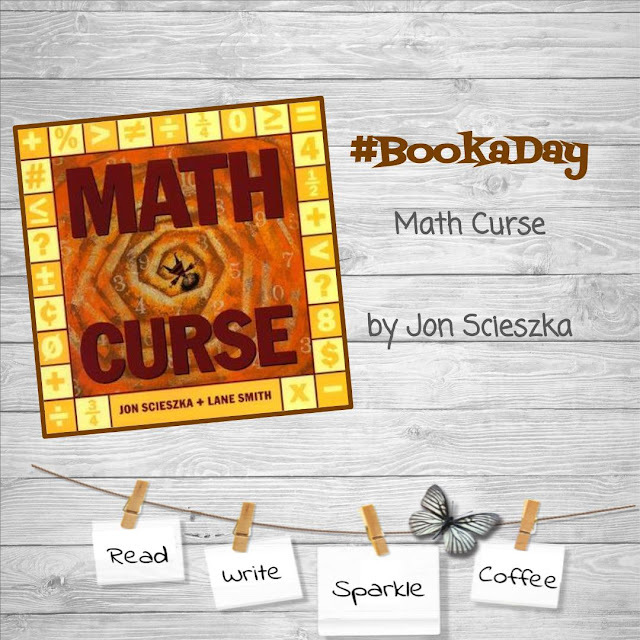 I've loved and used Scieszka's Math Curse in the classroom, lots of fun, but didn't know about Science Verse. Thanks for that. I'll look for it, Jeanie! Linda, it is set up similarly to this book; however it is written in poetic verse. It discusses familiar Science concepts as well as ones that I was new to. A very great read that students of all ages can enjoy!